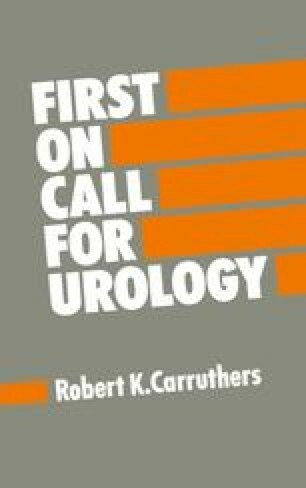 In most cases urethral strictures will be dealt with in the operating theatre or day unit by means of urethroscopy and direct vision urethrotomy. However, there are occasions when simple urethral dilation is appropriate, since this can be done immediately and using local anaesthetic. It is a technique that you should use only after demonstration and repeated supervision, since it is possible to cause great harm if done incorrectly. It is essential that dilatation be performed gently and with great care—force should never be used.